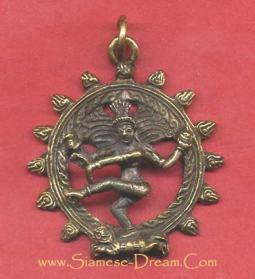 This is a 12-inch tall statue of Dancing Shiva Nataraja with a dark Bronze finish applied. It is made to look like an ancient copper statue, as there are many old Dancing Shiva statues enshrined in Hindu temples that have oxidized and turn that dark color. 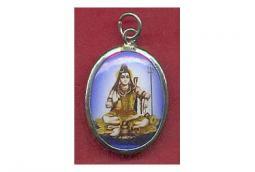 This particular Dancing Shiva has a single ring around it, while other statues of Shiva dancing might have a double ring. The size of this statue allows you to see clearly that Shiva is Dancing on the back of a demon, as the word Nataraja means Lord Of The Dance.